Insurance agents and brokers are legally obligated to act in the interest of insurance buyers. They must meet regulatory requirements, behave ethically, and make certain disclosures to policyholders. Here is what you can reasonably expect when you enlist the services of an insurance intermediary. Like insurance companies, insurance agents and brokers are regulated by the states. They are subject to the laws enacted by state legislatures and enforced by state insurance departments. Insurance regulatory departments often refer to insurance agents and brokers as producers. The name derives from the fact that agents and brokers produce (generate) income from commissions they earn from the sale of policies. At an insurance agency or brokerage, the word producer often means an individual who performs mostly sales work rather than servicing clients. For this article, the producer means an agent or a broker. All states require insurance agents and brokers to obtain a license to sell insurance. A state may offer many types of licenses. Examples are a Property and Casualty license, and a Life, Accident and Health license. The type of license a producer needs depends on the kind of insurance he, and she intends to sell. A producer who wants to sell life insurance may obtain a Life Only license. If the producer wants to sell both life coverages and accident and health insurance, he or she will likely need a Life, Accident and Health license. The types of licenses offered vary from state to state. States may use different terminology for the same type of license. Most states require producers to complete a specified number of hours of pre-licensing education before obtaining a license. Typically, the producer completes a state-approved pre-licensing course and then takes a licensing exam. If the applicant passes the exam, he or she is awarded a license. Some producers obtain multiple licenses. 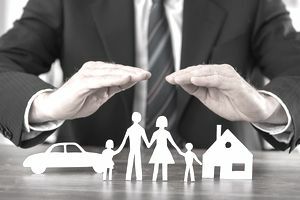 A producer who wants to sell both life and property/casualty insurance will likely need a life insurance license and a property/casualty insurance license. An insurance license is typically valid for two years. Generally, an insurance license can be renewed only if the producer fulfills the continuing education requirements specified by the state insurance department. An agent may be required to complete say, 40 hours of continuing education during the two years the license is in effect. The producer may have several options for fulfilling these requirements. For instance, he or she may take classes, attend seminars, or completely online courses. Before enlisting the services of an agent or broker, be sure he or she is a licensed producer. You can verify the producer's status by contacting your state insurance department. Many insurance departments provide an online tool that consumers can use to ensure their producer's license is active. A producer has a professional obligation to help you (the customer) obtain appropriate insurance coverage. He or she should explain what coverages are available and make recommendations. You must decide what coverages you want and communicate your wishes to the producer. Your agent or broker is obligated to obtain the insurance coverages you have elected. If the coverages you receive differ from those you requested, the producer must explain the discrepancies. Your producer may be negligent if he or she fails to inform you that the coverage you received is not what you requested. For example, you purchase a commercial property policy through your insurance agent, Jack Jones. You tell Jack that you want to include building ordinance coverage in your policy. You emphasize that this coverage is critical to your business and that it must be included. When Jack delivers your policy, he assures you that it includes all the coverages you requested. Six months later, a building you own is burned in a fire. You file a property claim with your insurer. Unfortunately, the amount you receive for the claim is substantially less than you expected. You discover that in spite of Jack's promise, your policy does not include building ordinance coverage. If you sue Jack for negligence, he may be liable to you for the amount you would have collected under building ordinance coverage had the coverage been included. Your producer is not obligated to anticipate all risks that might arise from your business and to advise you how to cover them. Most agents and brokers are not professional risk managers. They rely on the information you provide about your business to make coverage recommendations. The producer must exercise reasonable care to place your insurance with a financially sound insurer. In some states, the producer must warn you if he or she learns that your insurer has become financially impaired. Likewise, the producer may have an obligation to notify you if he or she becomes aware that your policy is about to be canceled. A majority of insurance agents and brokers are honest, hard-working professionals. Corrupt agents do exist. If you think your producer is acting dishonestly, you should report him or her to your state insurance department. The producer has collected a premium, but no policy has appeared. The producer may claim that he or she is retaining your policy for "safekeeping." Your policy has been canceled mid-term, but you have not received a return premium, even though the insurer confirms it has issued a check. The producer encourages you to submit fake or inaccurate information in the insurance application. The producer sells you a policy from a seemingly nonexistent insurer. Your Internet search of the insurer yields no information. The agent adds coverage to your policy that you didn't request and doesn't need. The sole purpose of this action is to drive up your premium and generate more commission for the agent. The producer has pushed you to put money into an "investment" that he or she says is too good to pass up.